A developing issue as more and more individuals hold Digital Currency assets is the treatment of this new asset class in situations of divorce. Particular issues are how those assets will be treated by the law and how they will be divided up between the spouses. By way of background, in California, marital assets are divided into community property and separate property. As a simplified explanation, community property consists of shared assets, including what is earned during marriage, while separate property consists of assets gained before marriage, inherited at any time, or that arise from other separate property. To retain the separate nature of the property, the assets have to be kept separate and apart from community property meaning that there can be no commingling of community and separate funds in one bank account. If both type of funds are put into the same account, the separate property becomes assumed to be community property given that money is a fungible asset that easily becomes commingled. In terms of Digital Currencies, wallets essentially serve the equivalent purpose of a bank account to store an individual’s Digital Currency funds. This would mean that, once married, to retain the separate nature of cryptocurrency assets, individuals would have to create new wallets for any Digital Currency funds purchased with community property (i.e., wages earned during marriage). If spouses fail to maintain separate wallets and keep pre-marriage Digital Currency funds in the same wallet as those acquired after marriage, then commingling has occurred and the assumption of community property is applied. Especially as Digital Currencies become more used for everyday transactions and Digital Currencies are used for payroll, it will be difficult to attempt tracing the community or separate property nature of funds from these commingled wallets when used to make purchases of non-Digital Currency assets. Additionally, another legal complication with Digital Currencies and marital assets is the fact that, even if considered community party, enforcement of the community property interest may be difficult. For example, with bank accounts, a court order can freeze funds. However, with Digital Currency assets there may potential issues of whether a court can effectively issue such orders and who those orders would be issued on. The company running the wallet which the court may not have jurisdiction over? The individual? 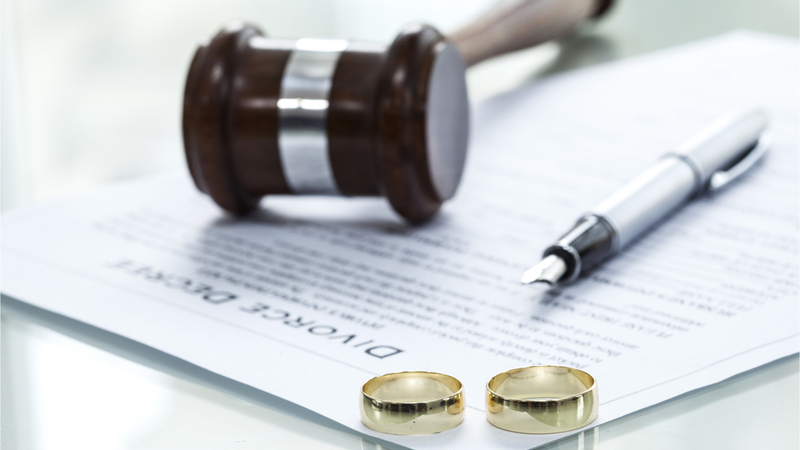 Thus, even if a spouse is legitimately entitled to a community property interest in certain Digital Currency assets, they may have difficulty enforcing that interest against the other spouse if it is a highly contested divorce situation where the parties are not cooperating. However, what is clear is that courts will have to address this new asset class and divorce judgments will take into account division of these assets.